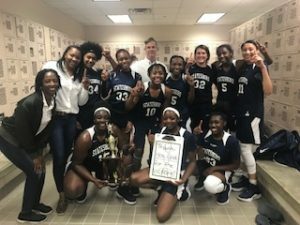 Congratulations to the Lady Devils Basketball Team and Coach Seier for their Region Championship! The girls won the Region 2AAAAA crown with a 57-38 win over Wayne Co. The boys lost to Wayne Co in OT 56-52 to finish 2nd in the region. The girls host McIntosh Friday at 6:30 in the first round of the state tournament. The boys host Starrs Mill Saturday at 6:00 in the first round of the state tournament. Join us at SHS to cheer on the BLUE DEVILS!! !